See also: The Old Brewery Building about the Cundall (Orwell) Folding Machine Co.
Cundall's employees outside the main factory entrance. The image appears to have been cropped on the right-hand side. The photograph dates to between September 1915 and early 1916 (and the location was just 60 feet from my back door in Wimpole...). (1) David Miller has identified the girl as Orwell's Florence Rosetta Bareham (nee Freestone) (born Orwell 6 October 1894 - died 2 May 2005), a secretary at Cundall's, who appears to be wearing a wedding ring. Florence married Reginald George Bareham of Newton in April 1915. 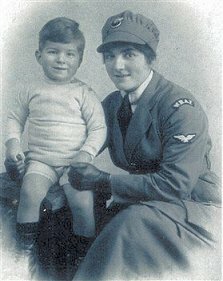 Florence enlisted into the Women's Legion in late 1916 (service unverified) driving ambulances at Fowlmere airfield and possibly Duxford, then transferring into the Women's Royal Air Force, Mobile Section (#20830) when it was formed on 30 September 1918. 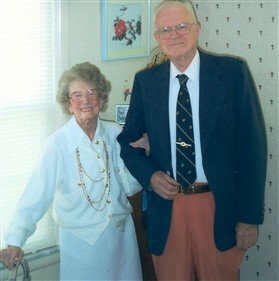 She had met Dutch-born American Anton William (Wilhelm) Van Stockum (1890-1988) while on a bike ride. Anton went to France with his unit in the final months of the war, but he and Florence continued to write to each other, even after he returned home to Washington. She married him in 1920 in Victoria, British Columbia, Canada, Anton officially adopting Ronald as his son. The next-of-kin records (c1921) and correspondence related to Sergeant R G Bareham's CWGC war grave notes one "Florence Rosetta Van Stockum (formerly Bareham), of 704 Garden St., Bellingham, Washington, U.S.A". Her chosen inscription for her first husband's headstone was "For Home and Love". They were a military family, her second husband rose to the rank of Lieutenant Colonel. Their UK-born son Ronald became a distinguished Brigadier General in the US Marine Corps (his diaries have been published). Florence lived in America for the rest of her life and died on the 2nd May 2005 in Shelbyville, Kentucky, at the age of 110 years and 209 days. You read that correctly. As an officially verified supercentenarian, Florence appears in various lists of the 'world's longest lived women'. - Article from the December 2002 "Orwell Bulletin" (Sue Miller). - Gravestone, Shelbyville, USA (image). Search names 'Florence' + 'Rosetta' + 'Van Stockum'. 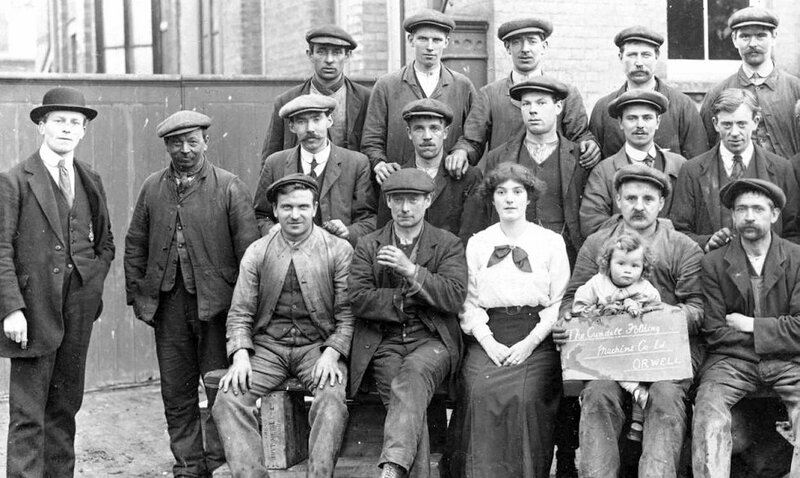 (2) Wimpole-born Edward Skinner is in the back row, second from the left. He worked for Cundall's until he joined the Sussex Regiment on October 5th 1914. The following summer (August 1915) Edward was sent home from the army to aid urgent war work at 'Cundall's Munitions Works'. He was recalled by his regiment and sent back to France on 6 July the following year and killed in action at the Somme just four weeks later. I don't wish to make light of the circumstances, but yes, Florence's wedding ring and Edward could have appeared in the same photograph together but only in the window between September 1915 and June 1916. As Florence gave birth to a son in July 1916, I would suggest sometime in the first six months of this time period is more likely. (3) The bowler-hatted gentleman is presumably owner William Denton Cundall. (4) See also: The Old Brewery Building for four other photographs taken on the same day. Please let me know if you can provide names to any of the people in this photograph.